After tasting electoral victory in three Hindi heartland states – Chhattisgarh, Madhya Pradesh and Rajasthan — at the end of 2018 by focussing on pressing farm issues and waiving farmers’ loans, the Congress seems to have found the theme it needs for the Lok Sabha elections. With the release of its national manifesto today in New Delhi, the Congress sent a strong message to the electorate: That its focus continues to be distressed farmers, waiving farm loans, solving the problem of unemployment for the youth and rural poor. While the BJP has set its narrative around nationalism, national security and Hindutva, the Congress has reverted to its time-tested pro-poor narrative. “I’m absolutely certain... The issues of this election are farmers, unemployment, youth, corruption and our NYAY scheme,” Congress president Rahul Gandhi said after the release of the document titled ‘Congress will deliver’ (Hum Nibhaayenge in Hindi) at AICC headquarters amidst a charged up environment. 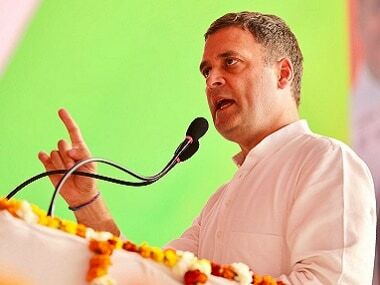 Laying emphasis on the key areas of the manifesto, Rahul said as a first step towards Nyuntam Aay Yojana (NYAY) or Minimum Income Support Programme (MISP), his government — if it came to power — would directly transfer Rs 72,000 per annum in the accounts of 20 percent of the poorest families of the country. “This will jump start the country’s economy that has got blocked due to demonetisation and poor implementation of GST,” Rahul said. NYAY is a scheme that the Congress announced as its poll promise and proposes to bring economic justice to the poorest citizens. “Next will be employment under which 22 lakh vacancies in government jobs will be opened up. Employment will be given to 10 lakh rural youth in gram panchayats.” However, the most important announcement made by Congress president was to have a separate farmers’ budget, similar to previous rail budgets. “Above all, I would call it a historical step: no criminal offence will be filed against farmers who fail to pay back their loans. Instead, it’ll be under civil offence,” added Rahul, emphasising the crisis in the farm sector. 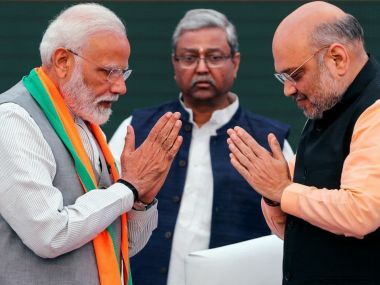 These were broadly the issues that brought victory to the party in Assembly polls, most notably in Chhattisgarh, where the Congress swept by winning 68 seats in the 90-seat Assembly in December 2018 and ended the 15-year BJP rule in the state. In the Chhattisgarh Assembly polls, the Congress manifesto was a well-surveyed, all-inclusive document which represented every section of society. 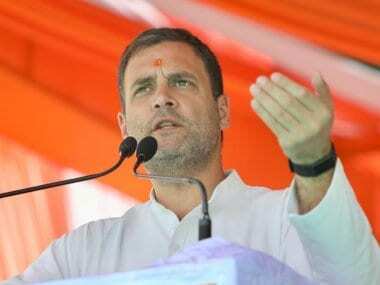 According to party sources, Rahul hailed the Chhattisgarh manifesto as a unique experiment and asked his research and analytics team to study and replicate it for the 2019 general elections. 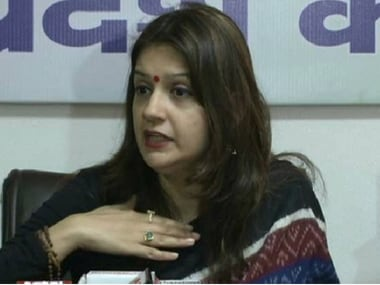 “A team of the research and analytics department of AICC not only accompanied the ‘manifesto man’ TS Singh Deo, who’s now a minister in Chhattisgarh government, and his team on all field trips, but also worked with them intensely even after the Assembly election,” a party source added. He added, “Chhattisgarh was the pilot project. Later, Madhya Pradesh was asked to follow the manifesto. A slightly modified version of it has been replicated in Odisha for the upcoming Assembly election.” The venue of the manifesto launch, 24 Akbar Road, was visibly upbeat and vibrant today, saw the presence of top Congress leaders: Sonia Gandhi, Manmohan Singh, Motilal Vohra, P Chidambaram, AK Anthony, Digvijaya Singh, to name just a few. At the launch of the Congress manifesto this afternoon, one thing that stood out was the confidence with which Rahul took charge. In stark contrast to the 2014 Lok Sabha elections, the 2019 elections have Rahul not only as the president of the party, but also as a man totally in charge. His body language did not betray even a moment of indecisiveness. He was articulate in his answers, assertive and spoke fluently, which also pointed to a clarity in his thought process. In response to a variety of questions, Rahul answered without a fumble, a pause, or a break. He answered all questions confidently and in depth, hinting that he knew the subject well and was not repeating rehearsed lines. More than once, he got up from his seat and walked about the dais, like an assured leader capable of inspiring confidence. 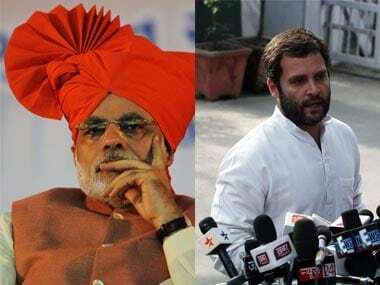 If there ever was a need for Rahul to nail the fact that he has matured into a leader that this democracy can repose faith in, then he did today by challenging the Prime Minister Narendra Modi to engage in a debate with him over the state of the nation. Rahul seems to have walked a long distance in the past five years.